Bio-Glucosamine + MSM cream contains cartilage maintaining nutrients, and is formulated to help soothe aching joints and maintain normal joint mobility. Pharma Nord Bio Glucosamine plus MSM Cream contains two main ingredients, glucosamine (sulphate form) and MSM (methylsulphonylmethane). Glucosamine is a naturally occurring sugar-related nutrient, which is important in normal joint function. 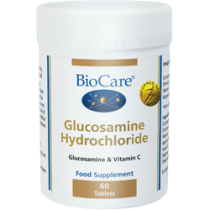 Glucosamine is produced within the body; however as people age the capacity to manufacture sufficient levels of glucosamine is reduced. Supplements are the best source of additional glucosamine, since there are no accessible food sources of this substance. 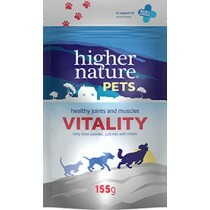 Commercially available glucosamine supplements are derived from the shells of shrimps, crabs or oysters. MSM is a natural compound containing sulphur (required by the body for normal growth and development). MSM is required for the normal formation of bone and collagen in connective tissues, and for healthy skin, hair and nails. This product also contains menthol and Japanese mint (Mentha arvensis) to help provide immediate analgesic activity, together with herbal extracts of Butcher’s broom (Ruscus aculeatus) and Hawaiian white ginger (Hedychium coronarium) to promote healthyblood circulation. 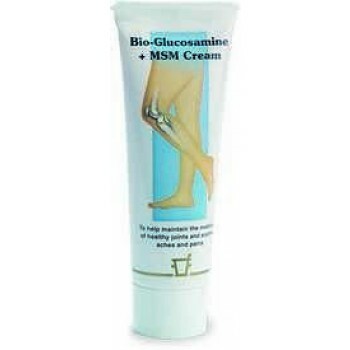 What does Pharma Nord Bio Glucosamine plus MSM Cream do? How much Pharma Nord Bio Glucosamine plus MSM Cream should you apply? The cream should be applied generously to painful joints 2-3 times per day, via gentle massage until the cream is absorbed. It is recommended to clean, rinse and dry skin prior to application. The cream has been developed to be used in combination with Bio-Glucosamine and Bio-adverse effects from using Pharma Nord Bio Glucosamine plus MSM Cream? There are no known side effects, contra-indications or drug interactions for Bio-Glucosamine + MSM cream, with the exception of shellfish allergy. As the glucosamine used in this product is obtained from shellfish, individuals with shellfish allergy may suffer an allergic reaction; in most cases however, allergies are caused by shellfish proteins, rather than the chitin carbohydrates from which glucosamine is extracted.